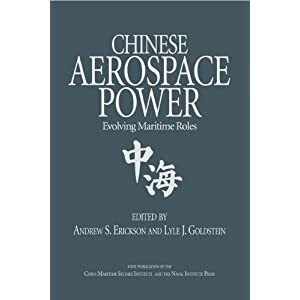 China, the United States, and 21st-Century Sea Power: Defining a Maritime Security Partnership; Edited by Andrew S. Erickson, Lyle J. Goldstein, and Nan Li, Exeunt. DISCLAIMER: The views of Dr. Andrew Erickson are his personal views, and not those of the U.S. Navy or any other organization of the U.S. Government. 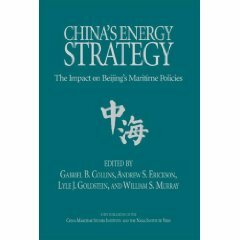 Book Summary: China’s rise on the world’s oceans is attracting wide attention and may ultimately restructure the global balance of power during the course of the 21st century. 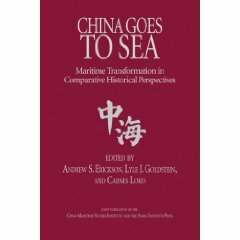 Many books have described this phenomenon and the significant strategic implications that flow from Beijing’s rapid maritime development. However, the subject of whether and how to potentially integrate a stronger China into a global maritime security partnership has not been adequately explored. 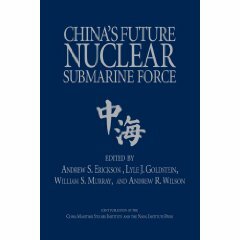 Delving into a variety of vital domains of contemporary maritime security, American and Chinese contributors to this edited volume illustrate that despite recent turbulence in U.S.-China military relations, substantial shared interests should enable extensive maritime security cooperation. But for professionals to structure cooperation effectively, they warn, Washington and Beijing must create sufficient political and institutional space.